Learn also from Joseph, who reassured his brothers that he would not hurt them to avenge himself when he asked them, “Am I in the place of God?” (Genesis 50:19) This was after they had cruelly sold him into slavery where he suffered for 13 years before God had promoted him to be the Prime Minister of Egypt. Therefore, do not take the place of God and avenge yourself either verbally or physically. 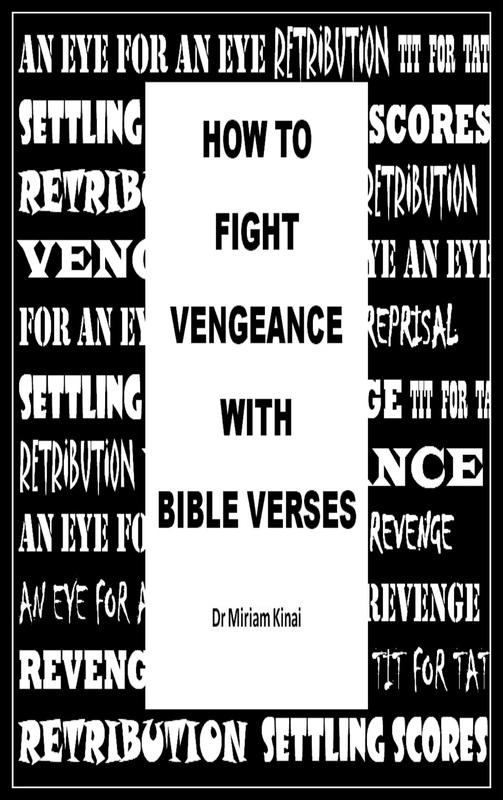 Instead, pray and commit your situation to God as you ask Him to avenge you and help you not avenge yourself since this is the first spiritual intervention for destroying feelings of vengeance. As you pray, use Scriptures since awesome Bible verses are the foundation of any deliverance ministry and Christian spiritual warfare because the Word of God is the Sword of the Spirit that God has given us to fight with. 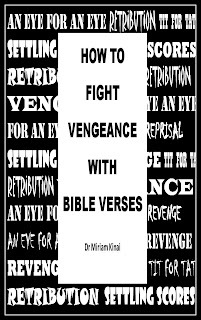 (Ephesians 6:17) Therefore, we will call the Scriptures that we will use to fight theses feelings of being vengeance SWORD WORDS. In addition to praying for yourself, ask your Pastor to pray for you and attend Deliverance services so that you can learn different spiritual warfare prayers and receive deliverance from these feelings of vengeance.